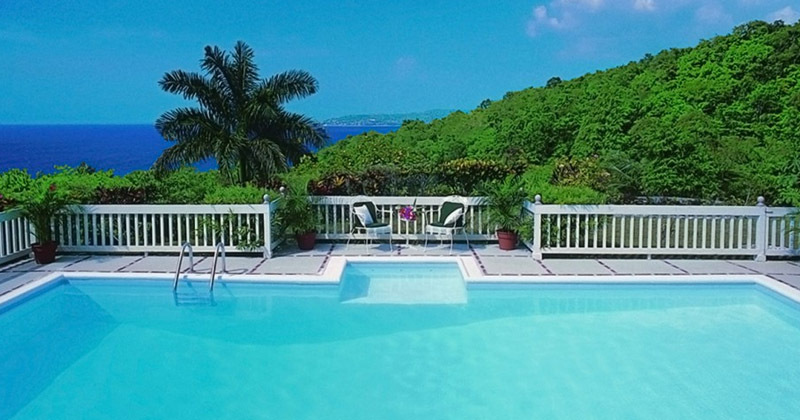 Luxury 3 Bedroom Villa Jamaica – The rich gardens are adorned by elegant palm trees, bougainvillea, hibiscus, ginger lilies, frangipani, bamboo, ferns, lavender and periwinkle. Velvety soft zoysia grass invites barefoot walks around the lawn. On the main floor, wide glass doors and cedar louvres open to the wrap-around veranda. The perspective is mesmerizing day and night with sunrises and sunsets. 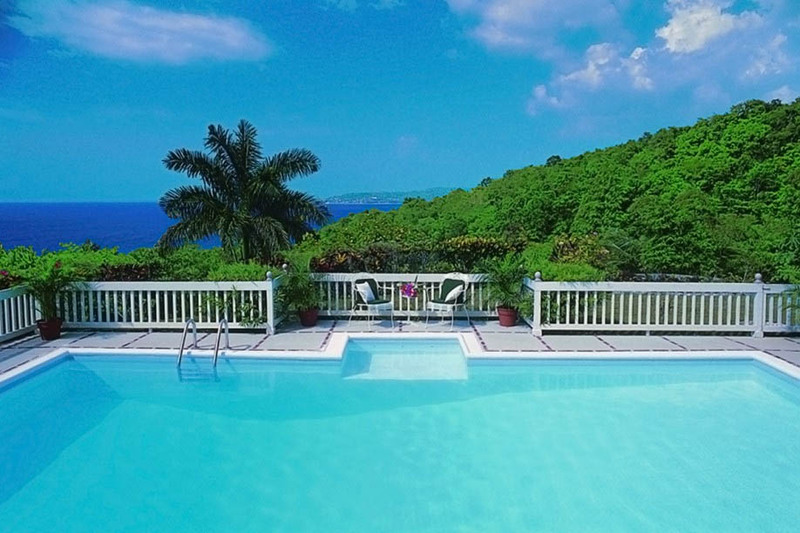 See cruise ships, tropical lightning shows on the distant horizon, and the twinkling night lights of the town across Montego Bay. 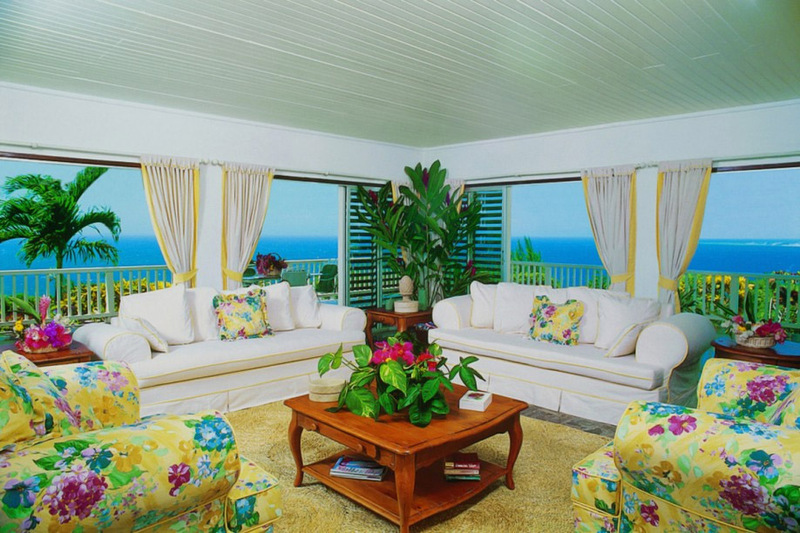 The airy living room has extraordinarily comfortable overstuffed sofas and chairs. The hand-painted armoire which houses a television and VCR. Adjoining the living room is a colorful den. It’s an ideal playroom for children, with television, VCR and games cupboard. A daybed in the den can accommodate one extra child. Twin-size air mattresses are available if required as well. Just outside the den is a removable gate should parents wish to control children’s access to the pool. 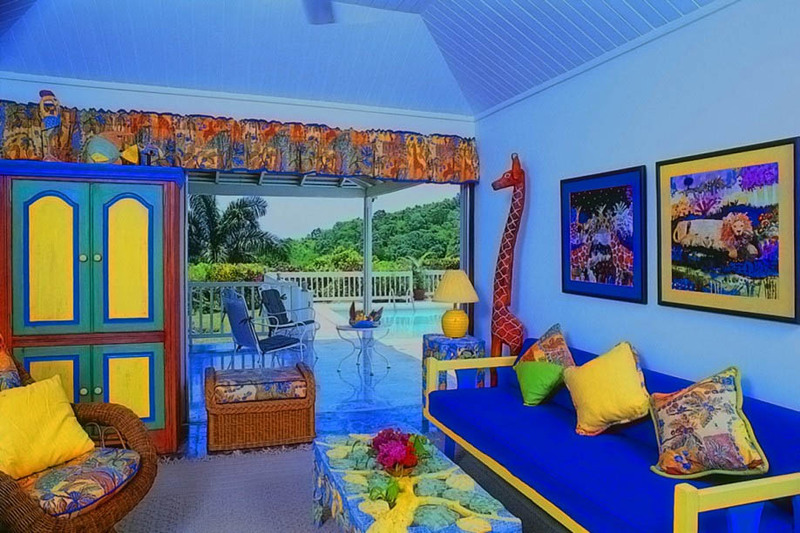 On the main level are the two downstairs bedrooms with walls washed in pastel yellow and blue. They connect through a shared bathroom. The downstairs connecting bedrooms are another good feature for parents and small children. While both bedrooms open to the pool terrace, these doors can be locked. This will help to prevent youngsters from wandering into the pool area without supervision. 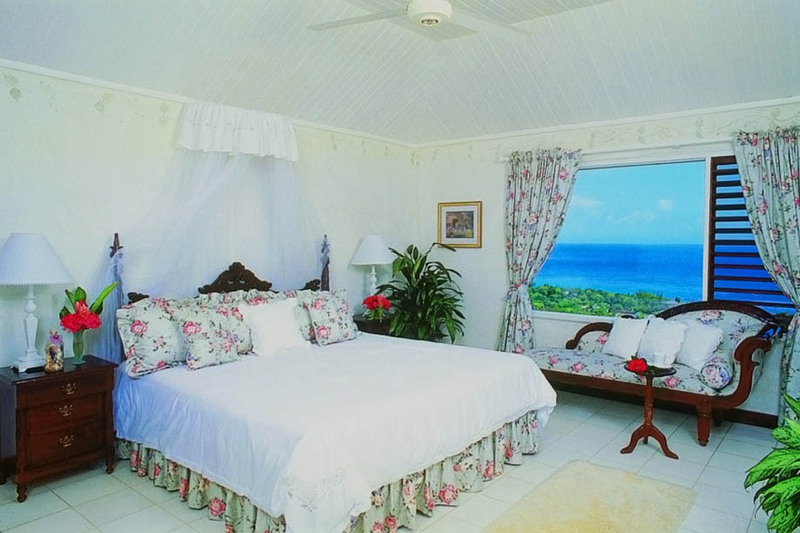 Upstairs is the bright master bedroom suite, commanding a stunning view of the tranquil harbor of Montego Bay. 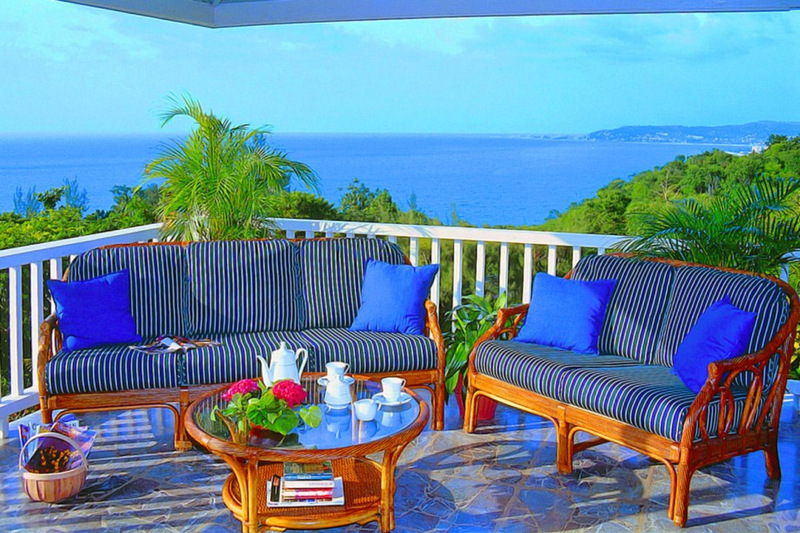 Home-cooked meals are served in the dining room or, most often, outside on the veranda. Of special note are the skills of Herga, the cheerful and talented cook. They are more than willing to prepare individual meals to suit the tastes of children.